The Sames Auto Arena is located at 6700 Arena Boulevard in Laredo, Texas. You may purchase tickets to any Sames Auto Arena event at our box office, Ticketmaster.com or charge-by-phone at 800-745-3000. Please call us at (956) 791-9192 if you have any trouble finding our location. 10:00 a.m. until 2 hours* after doors open to the public. *Actual closing time on event days may vary. Depending on the show, the box office may close as early as 30 minutes after the show begins. Here are some helpful links and information to help you decide where to buy tickets for Sames Auto Arena events. A small facility fee is usually added to each ticket for Sames Auto Arena events, regardless of where you buy the ticket. Additional fees may apply when purchasing tickets online or over the phone. You will not be charged any additional online or convenience fees when purchasing from our physical box office location, however. CAUTION: The Sames Auto Arena highly discourages patrons from purchasing tickets other than from these locations. If you purchase a ticket from a scalper, or from a location that isn't affiliated with Ticketmaster, entrance to the event may not be guaranteed. All unsold tickets in accessible seating areas will be made available to the general public 48 hours prior to an event. 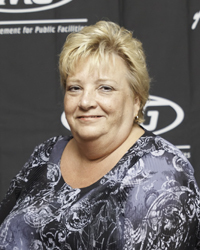 Please click here to view the services available for guests with disabilities or special needs. Every person 2 years of age or older must have a ticket to enjoy the show. 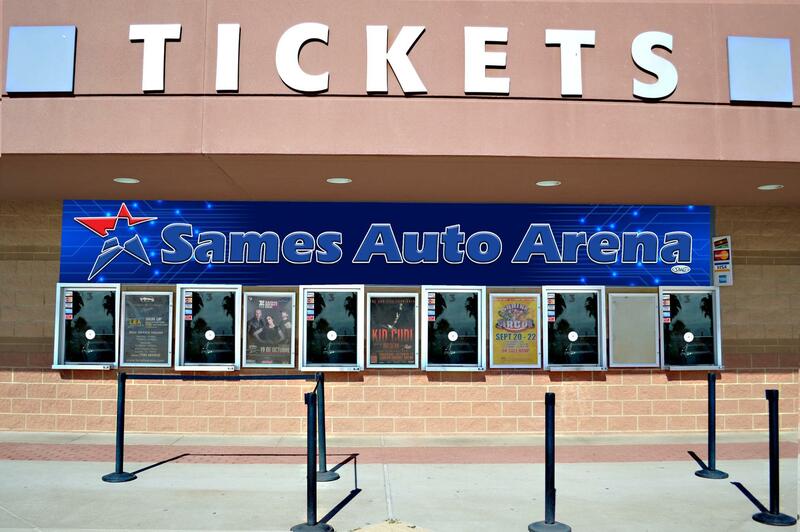 Many times a child-priced ticket is available for events at the Sames Auto Arena. Please ask our box office attendants or a Ticketmaster representative if child-priced tickets are available. Clients may pay for tickets at the box office with cash, check or with various credit cards including Visa, MasterCard, America Express and Discover. When paying with a personal check or credit card, a valid photo I.D. of the credit card holder or check writer is necessary in order to process the payment. There is a $29 fee on all returned checks. 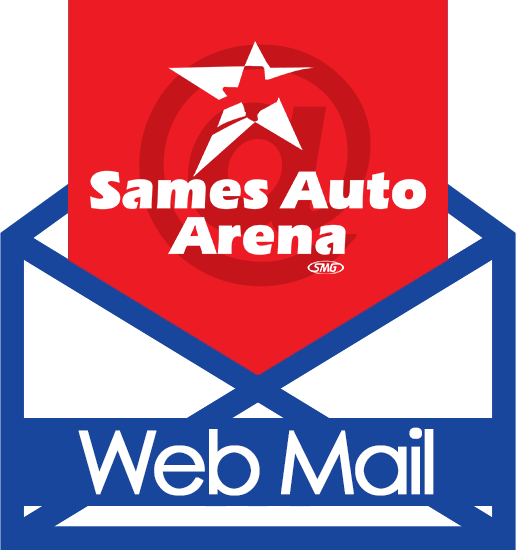 For all Sames Auto Arena events, guests may pick up pre-purchased tickets at the "Will Call" window at the Main Entrance Box Office with a valid photo I.D. at Window number 6 is the designated "Will Call" window at the Sames Auto Arena; however, any ticket seller may assist guests. For all Sames Auto Arena events, guests must present a valid photo I.D. at the Sames Auto Arena Box Office to pick up will call tickets. If tickets were purchased online at www.ticketmaster.com or by phone at 1-800-745-3000, the credit card used at the time of purchase along with the matching photo I.D. and Ticketmaster account number are necessary in order to pick up tickets. The Box Office is open Monday - Friday from 10:00 am - 6:00 pm, and on event days. In the event of an event cancelation, refunds will be available at the original place of purchase. Patrons must return their paper tickets to the Sames Auto Arena Box Office or other Ticketmaster outlet where the tickets were bought. Those patrons who purchased tickets online at www.ticketmaster.com or who charged by phone should contact Ticketmaster at 1-800-745-3000 regarding procedures for obtaining a full refund. For additional refund information please contact Ticketmaster at 1-800-745-3000.